Night time alcohol ingestion influences nocturnal breathing in patients with sleep apnea syndrome or respiratory diseases. To evaluate the influence of nocturnal alcohol ingestion on the cardio-respiratory activity of healthy men, 8 snoring and 13 non-snoring male subjects were measured for 3 nights after alcohol ingestion. Blood alcohol concentration was 0.0, 0.5 and 0.8%, respectively. During each night polysomnographic data were obtained and analyzed. The apnea-hypopnea index was significantly higher in snoring than in non-snoring participants and increased in both groups under the influence of alcohol. Non-snoring males showed a significant increase of hypopneas under nocturnal alcohol ingestion (0.96–1.65–2.06). Mean oxygen saturation (SAO2) was significantly higher in non-snoring compared to snoring males, and both groups showed a significant decrease (non-snoring: 96.06%–95.7%–95.52%; snoring: 95.54%–94.74%–94.53%). 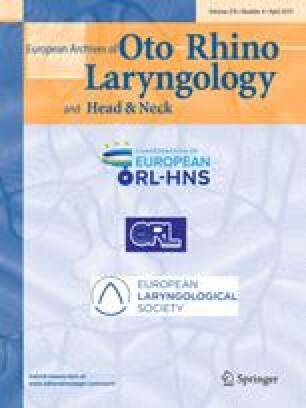 Snoring individuals had a significant decrease in SAO2 during NREM4, whereas SAO2 was reduced significantly in REM and NREM3 in non-snoring subjects. The nocturnal heart rate was significantly increased in both groups under the influence of alcohol. The study proves that snoring and non-snoring healthy males are affected by nocturnal alcohol ingestion. Under the effect of alcohol, these patients can develop signs of a sleep apnea syndrome, which should be considered clinically.